Casting in Windows 10 greatly improved. 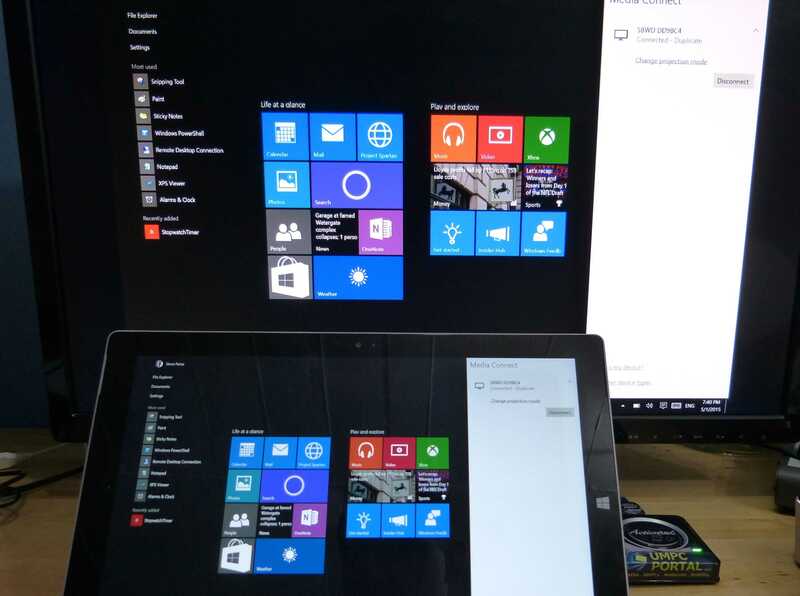 MS Miracast / Actiontec test. ‘Play-To’ and ‘Project To’ gets a big work-over in Windows 10 with continued focus on Miracast. We’ve been tracking wireless display ever since it was an Ultrabook feature. [Sept 2011.] 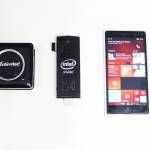 Intel’s WiDI screen casting hardware was always a step ahead of the Miracast implementation it was built around but it was largely irrelevant because Windows 8 only ever supported Miracast. It looks like that performance gap will be closed now though because Microsoft are adding extensions and improvements to Windows 10 Casting (AKA MS Miracast.) The user experience will be better, paring over WiFi Direct will be faster and there’ll be a back-channel for user interface control (touchscreens.) We’ve tested it and it’s true. Update: DIAL protocol tested in Windows 10. Miracast supports up to 1920 x 1200 60 fps source streams transmitted using the (lossy) MPEG2 standard. There’s 2-channel compressed or uncompressed digital audio or Dolby AC3 streams for surround sound. HDCP is supported for content protection. The optional back channel (UIBC) can be used for human-interface devices or for general data, eg. USB. There’s obviously a latency introduced into the stream and we’ve seen that range down to 70ms in the WiDi implementation so this is not for action-gaming. We tested the latest implementation on Windows 10 (Build 10074) and an Actiontec ScreenBeam Pro with V1.2.7.0 firmware and the results are in a video below. We couldn’t find the beta software mentioned by Microsoft but were impressed at the ease of setup and the very low latency on the mouse movements. 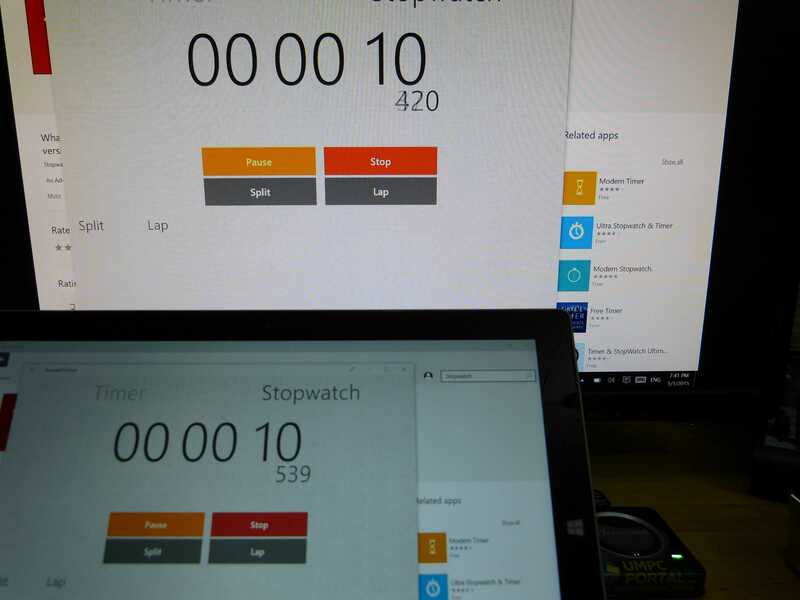 Larger screen changes will increase the latency and our test showed around 120 ms in a stopwatch image test. The Actiontec Screenbeam Mini has been available in the USA for $39 but it’s currently $49. Check our Amazon link on the right for the latest US price. 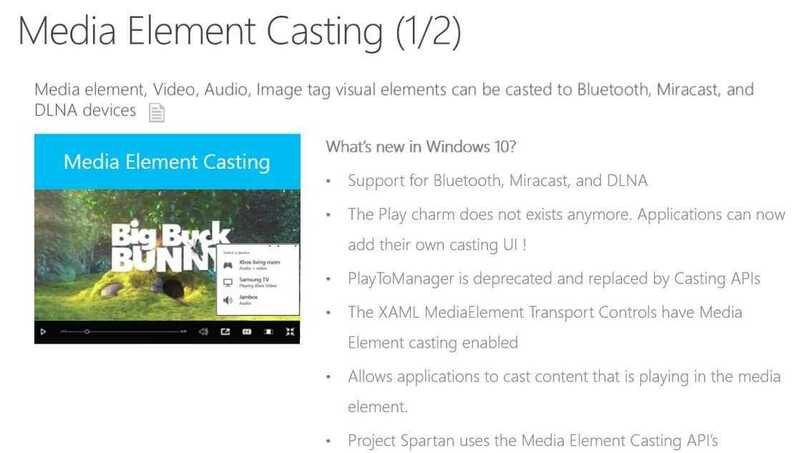 In the presentation at BUILD Microsoft demonstrated direct-casting for media elements which makes the process even simpler. These are being built into the Microsoft Edge browser (was Project Spartan.) Device picker elements are available too. If you’re wondering about Chromecast-style casting where the controller instructs the remote device to run an application (and stream the content directly from the source to the device and not via a screen cast) then you’ll be pleased to know that the DIAL (Discovery and Launch) protocol is being supported. Surely this means that Microsoft will bring out an Xboxcast device to compete with Amazon and Google soon but today it means that you can remotely start the YouTube and Netflix apps on an Xbox One. 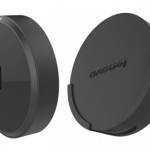 Lenovo Cast – DLNA and Miracast, but no competition for Chromecast and FireTV. The Xbox Dongle and Casting. Last chance for Consumer Windows? 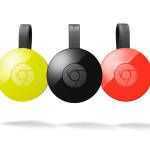 Chromecast WiFi improvements also cover your HiFi. New models, new software. Good that Windows 10 has better support for Miracast. BTW, I have ordered an ActionTec Mini and should be receiving the delivery any day. Can’t wait! Do you think this, combined with the slight extra delay of bluetooth input devices, still makes for an acceptable wireless office work experience? It’d be great if you could test an all-wireless external display setup with Windows 10 on your new Thinkpad 8 please (if you decide to put W10 on it of course). I haven’t extensively tested it yet but I think it will be ok. I will definitely be testing maracas and DIAL further with the ThinkPad. Will follow with interest thanks. Happy to report that my own z3795 tab (HP Elitepad) has good BT, although I think I need a better mouse. Miracast also works with my Sony TV, so next thing to test is dongle for monitors/projectors at work. Trying to decide between Actiontec and Netgear – latter is cheaper here in Oz but no longer getting updates). Outside of using DIAL (which only Netflix and YouTube support), the problem with Microsoft depending on Miracast is the fact that devices (phones/tablets) are going to continuously be re-encoding the video streams, which means quality loss and battery drain. DIAL is good, but it’s limited to the fact that 2 apps (sender/receiver) have to support it and I don’t know of any on Roku or the Fire TV that have it, outside of Netflix/YouTube. PlayTo doesn’t support DRM content either. Microsoft really just needs to make their own casting protocol that uses webpages like Google did with Google-Cast/Chromecast, and now recently as Amazon did with Amazon Fling. Why? Because not every company wants to make a TV app, when a API in their existing mobile app would be better. And because it would come straight from i-net to TV rather than proxy entirely though the sending device to TV, draining devices battery. So my HP Pavilion X2 210 2 in 1 arrived yesterday. Running Atom Cherry Trail 8300. I didn’t think I would have a good experience doing Miracast (or is it Widi?) to my living room Actiontec Screenbeam Mini 2. But, boy, I have been blown away! The experience is as smooth as my core i7 15.5″ Lenovo delivers. Chippy: This is THE BEST tablet I have ever owned! And only at $299 (mine is $309 because got the red one). Now my 3 year old Acer W510 is certainly going Ebay! Chippy! Not to derail this thread but I think the site could use a Review of the new HP Pavilion X2 with Cherry Trail: http://store.hp.com/us/en/pdp/Laptops/hp-pavilion-x2—10-n113dx-%28energy-star%29 ; I love it so much that I ordered another one, to be delivered today, for my wife. Took the red one to a conference yesterday with starting battery of 79% at 10:00 am; by 4:30 PM, still around 48% remained–okay, just occasional web surfing then but still good. Interesting that even though I see my television on my network and Windows 10 supposedly supports casting it never can do a damn thing. 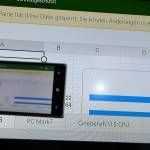 Android devices have no problem yet Microsoft screams how Win 10 does this and that yet have been unable to deliver on any of it’s promises since launch. That’s to include the second release TH2! It’s also interesting to note that problems that derive from using HDMI cables have been COMPLAINED about since Windows 7 yet have not been fixed. 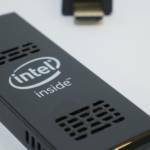 Being that you now have no choice but to use HDMI in able to use 4K or higher displays you are stuck. The bug being that HDMI is a device and when you turn off your monitor/TV Windows thinks the device has been removed and causes the resolution and all it’s windows, icons or whatever to revert back to 800×600 causing everything you have on screen to shift to the left forcing you to fix it over and over. They sat on this behavior as well as multi-monitor configuration for 6 years now and the rubber stamp response from some Indian tech support guy is update your graphics card drivers. No wonder everyone is migrating from Microsoft because they don’t care about you until it hits them in their wallet. Now they have discovered windows is irrelevant they have shifted focus to imitate android but without the ad blocker. Heck, they even expect you to pay for the privilege to watch a DVD with an app you have to buy. Why the F does Windows need a F’in DONGLE for Miracast??? It sees my TV which can connect directly with an Android phone but Windows WON’T!! I can stream movies BUT NO SCREEN MIRROR! « Dell Wireless Dock offers seamless WiGig connectivity, at a price.